Due to the increasing demands of our clients, we are engaged in manufacturing, supplying and distributing a wide range of Microprocessor Trainer Kits. These kits are offered in different sizes and dimensions. 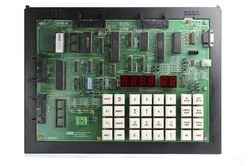 Matching up with the ever increasing demands of the customers, we are involved in providing 8086 Microprocessor Trainer Kit. 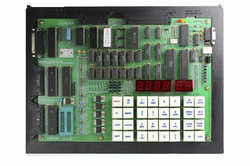 Our product is an economical version of our advanced microprocessor trainer. Our Microprocessor Trainer Kits are extensively used in different educational institutes and research and development labs. Leveraging over the skills of our qualified team of professionals, we are involved in providing Microcontroller Trainer Kits Our product is widely used for instrumentation and control applications. Furthermore, These Microprocessor Trainer Kits can be used as flexible instructional aid in academic institutions and as a powerful development kit in R&D labs. We have carved a niche amongst the topmost companies in this domain, offering Microcontroller Trainer Kits These Microprocessor Trainer Kits are extensively used for embedded and real-time applications. Moreover, our product range is designed to be a general purpose development board for single chip MCU applications. 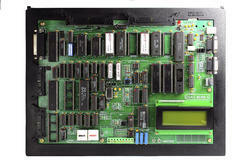 We are backed by our years of experience in this domain, engaged in providing Microprocessor Trainer Kits. 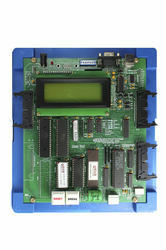 Our Microprocessor Trainer Kits are used for development of software and hardware in research institutes and labs. To attain the maximum satisfaction of customers, we provide this product at pocket friendly price. In both stand alone and serial modes, user can enter programs, run them all full speed and debug them through breakpoint and single step facilities. 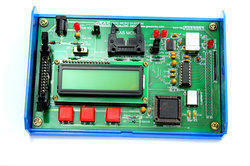 We have been counted amongst the most dominant names in this business, involved in present Microprocessor Trainer Kit. Our product range is developed by using latest technology. These Microprocessor Trainer Kits are supplied with comprehensive and user friendly documentation as well as windows based communication software with on line help. Owing to the rich industrial experience and expertise knowledge, we are involved in providing Microprocessor Trainer Kits. These Microprocessor Trainer Kits are suitable for the current day application of industries, research and development labs and for the revised syllabus of all the science and technology institutions. Clients can buy this product from us at market leading price.